(Zach Epstein @ BGR) If half a dozen reports from several well-sourced reporters are to be believed, Apple has a huge redesign coming in iOS 7 . Gone are the textures that have characterized iOS for six years now, replaced by a flatter user interface that will still maintain the overall feel of the operating system. While much remains a mystery, we already know what several redesigned elements in iOS 7 look like — not from a leak or a bunch of rumors, but because Apple has already shown them to us. The general layout and button shapes are the same to ensure that Apple avoids the shock of a drastic visual overhaul — Microsoft’s Windows 8 has shown us what can happen when visual changes are too severe — but the flatter, more minimal graphics are a fresh new look for iOS. 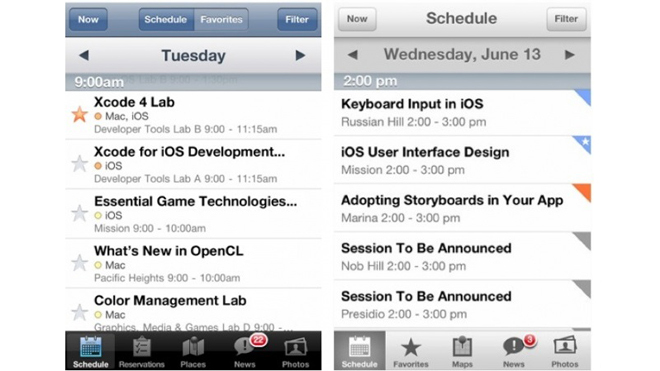 A comparison shot assembled by Twitter user @yuize shows the new look of iOS 7 in the official WWDC 2013 app alongside last year’s WWDC app. The layout is cleaner, the look is more minimal and the colors certainly seem to pop a bit more, but longtime iOS users likely won’t find the new look terribly jarring, which is a fear any company has when refreshing a user interface. 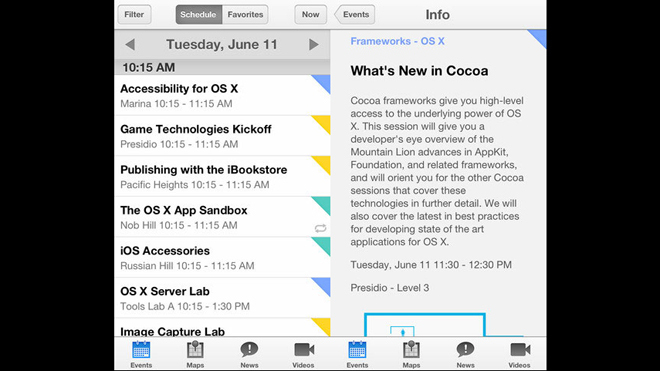 Apple’s annual WWDC show kicks off on Monday and iOS 7 is expected to debut during the opening keynote, which starts at 1:00 p.m. EDT, 10:00 a.m. PDT.